Homeownership has its pros and cons. For as many fun family memories you may have, there are just as many troublesome maintenance tasks that you probably would be happy without. One of these tasks is keeping your gutters clean and clear, a task that can be made more difficult if you have birds trying to turn your home into theirs. 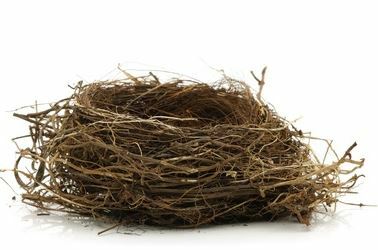 The problem is that when birds find a comfortable place to stay, they decide to build nests. The typical bird’s nest is practically a gutter-clogging bomb, made of leaves, sticks, twigs and other small materials that can easily clog your gutters. Bird nests are one of the most common ways that gutters get backed up, blocked and even damaged. Don’t let birds control your home. Try some of these proven methods to rid your house of these pests for good. There are several gels and sprays on the market that can sometimes be an effective method of keeping birds at bay. These gels work by being an irritant to the bird’s feet, effectively preventing them from landing and building those troublesome nests. eHow notes that these solutions are easy to apply using a caulk gun or as a simple spray. This gel is an effective and long-lasting solution and can be reapplied as needed to keep birds away. Birds are skittish creatures by nature, and sometimes all it takes to rid your home of them is to scare them away – after all, that’s why scarecrows have been a standard in crop fields for millennia. Of course, you don’t want a scarecrow on your roof year round, but you can use some smaller predators as a deterrent. One of the most common predators for birds are snakes and owls, so putting a mock of one of these animals on or near your roof can serve as a deterrent – and a piece of home décor. Look for a crafter or visit the store to find a realistic wooden owl or rubber snake and place it on the roof or high alongside your home, such as on the porch beneath the gutters. If a particular breed of bird is pestering you and your home, do some research to find out that bird’s natural predator and try a stand-in for that animal to ward off birds. Of course, one of the most tried and true methods to keep birds from making a nest in your roof drainage is to use gutter guards. Gutter guards cover the open tops of your gutters, not only preventing birds from making nests, but also keeping leaves, sticks and other larger debris that might fall on your roof from ending up in your gutters. With gutter guards, you can worry less about your gutters getting clogged all years long while also keeping bird nests where they should be – in the trees, and not your gutters! Start off on the right track this spring by protecting your gutters with Alaska Premier Gutters. Our products can handle the toughest weather we see here in Alaska, and we can help with repairs, maintenance, full replacement, new installation and much more. Let us help with your roof drainage today. Give us a call at 907-244-1338 or 907-272-2337.